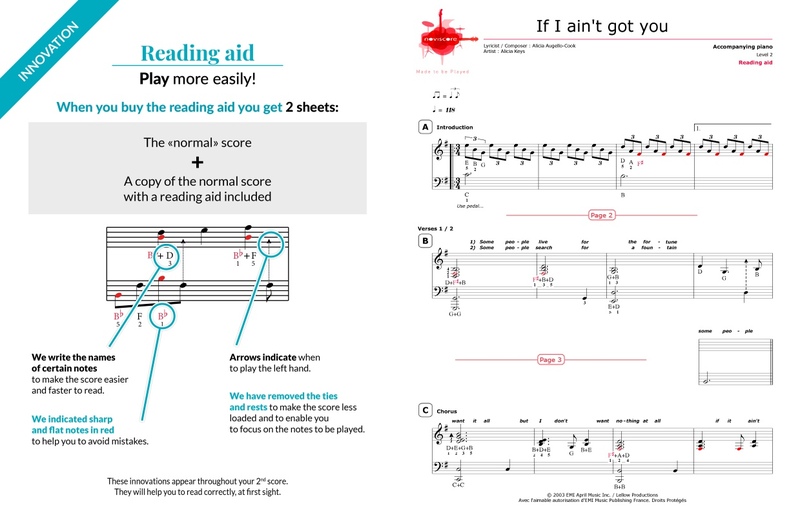 You only need to listen to the first notes of the piano introduction to recognise If I Ain’t Got You. 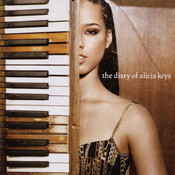 This soul/jazz hit is from the second album of R&B singer Alicia Keys and won her a Grammy Award in 2005. 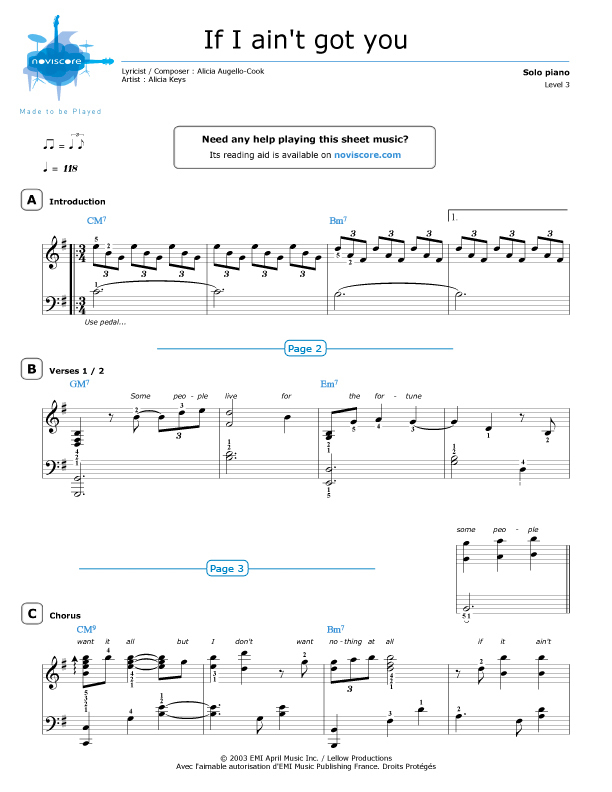 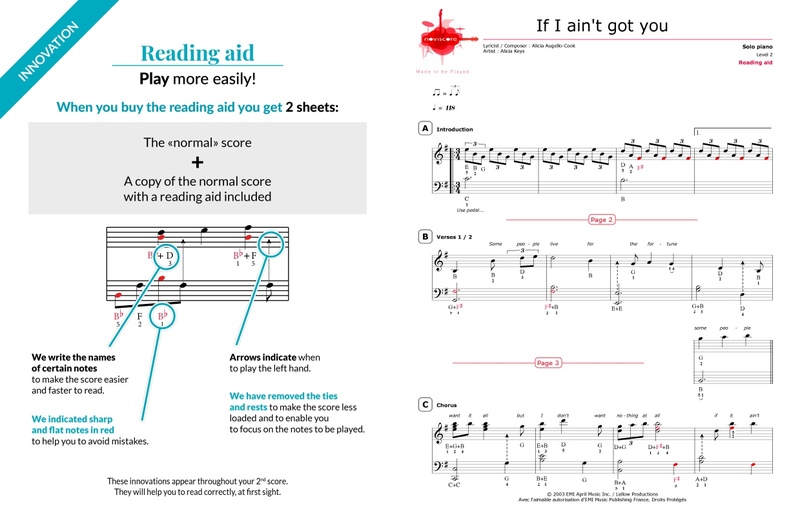 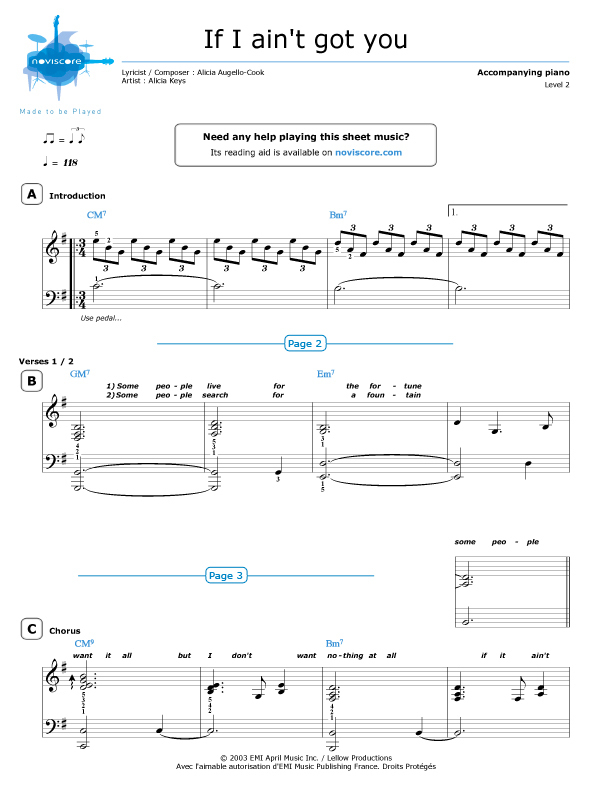 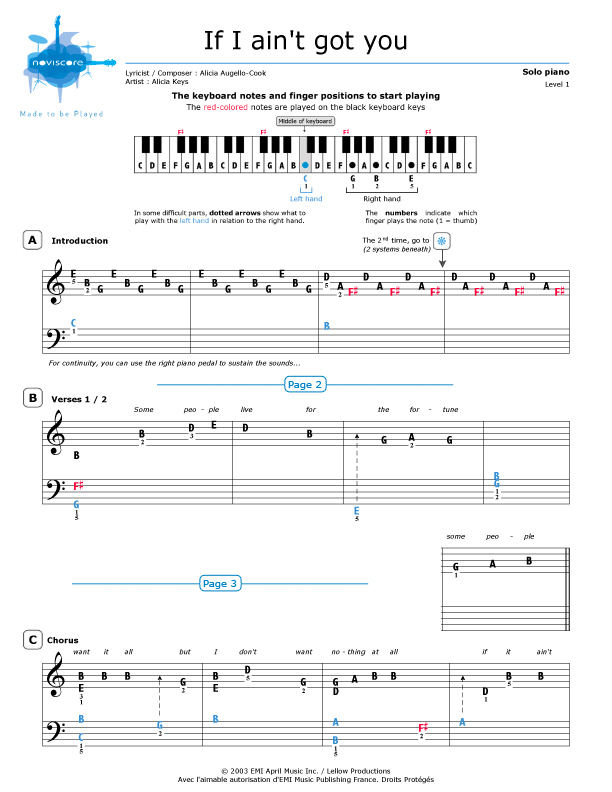 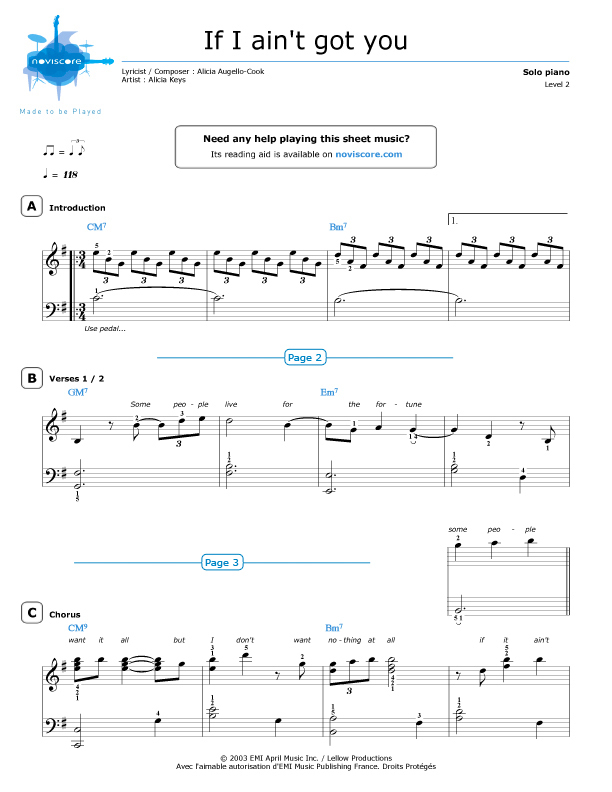 We offer If I Ain’t Got You piano sheet music in different skill levels to meet every pianist’s needs, so even beginners can enjoy playing this piece with our easy piano scores Level 1. 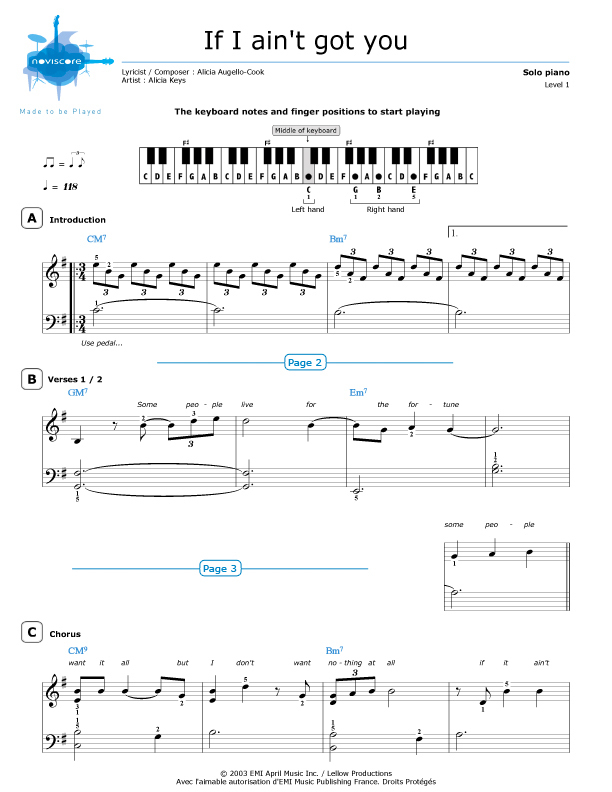 This critically acclaimed title propels the singer to the ranks of such great voices as Aretha Franklin, Nina Simone or Whitney Houston.….